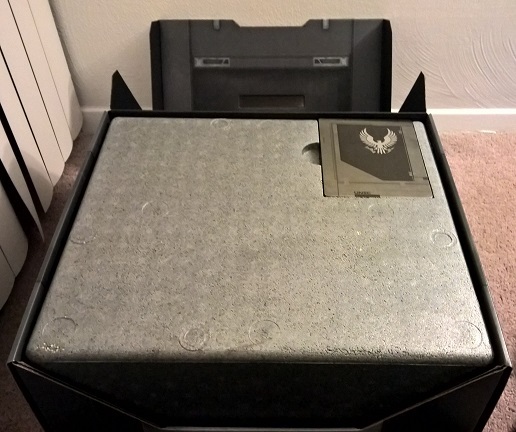 I recently got a chance to acquire the Halo 5: Guardians Collector's Edition. I have to say, I am very impressed. However, two small things have drawn my ire. First is the stability of the statues. Second, and the most important, is the fact that the Collector's edition doesn't come with a disc, but rather a code, but more about that after in a bit. When I first got the Collector's Edition, I was super confused. This box is massive. It was about twice the size of the box the XBox One came in, and that cost almost twice as much. The box also had a surprising amount of heft. 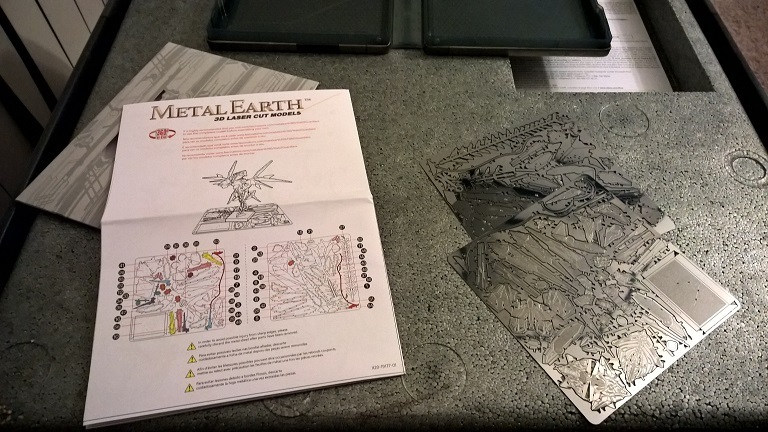 Once I cracked it open, the first thing that greeted me was not the statue, but rather a small insert containing all the paperwork and metal statue (some assembly required). 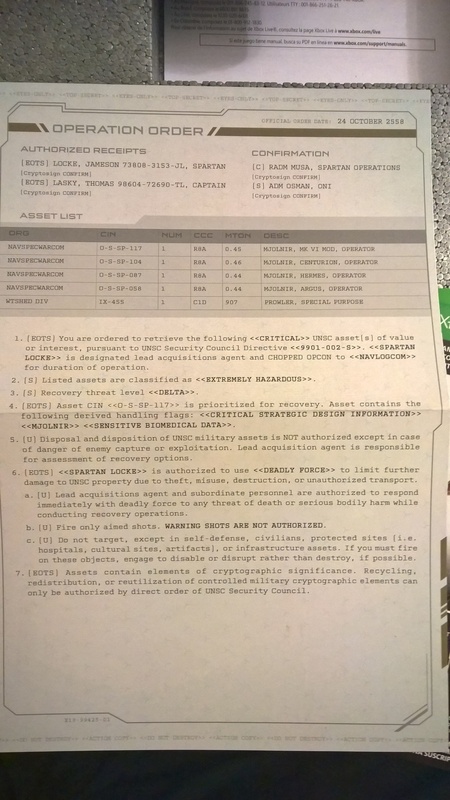 It also came with some pretty cool information leaflets about the targets (Master Chief and crew) and Locke's fireteam. There is also a small dossier with the mission briefing (in 2 languages). Overall, pretty cool. HOWEVER, this is where that second complaint from earlier comes into play. In that packet of information exists a code for the digital version of the game. Not a huge problem, unless you really like discs. I really like discs. I had a problem. However, there are clear instructions on the internet about how to exchange your code for a physical copy. Just go over to Xbox customer service and follow the instructions (http://support.xbox.com/en-US/xbox-one/games/halo-5-guardians-disc-swap). Luckily, it was a fairly easy process to complete and took about 5 minutes. A quick note, I also needed my Xbox One serial number. You also have to NOT REDEEM the code before you do this, so if you have... I'm sorry, you are out of luck. Once I got past the small insert, I finally took apart the foam sabot protecting the much anticipated statue. Upon opening, I was very pleased. This is a pretty large statue with lots of detail. 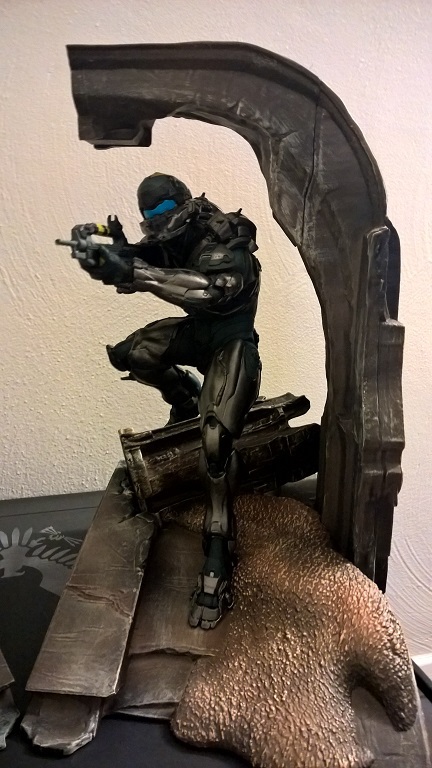 Master Chief is on one side while Locke is on the other, both in some pretty action-oriented poses. I took the statue apart and separated it like I had heard, and was a little taken aback. One of the "cool" things is that the statue can be separated into two halves and used as book-ends. Well, those are going to be some pretty large books. There is about 3 inches at the bottom to hold the books together, and a small piece about a foot from the base that can help. So, if your books are between 6 and 11 inches (more-or-less), I would get a larger book for the end. I also noticed something else. The PVC-esque statues are only held on by 2 contact points. Two, small, contacts points. My point, and the first of the aforementioned complaints, is that the characters are notably loose. They aren't very sturdy on the base. However, considering they are not toys and are meant to be put on a shelf and never again touched, I don't see this as an issue affecting too many people. 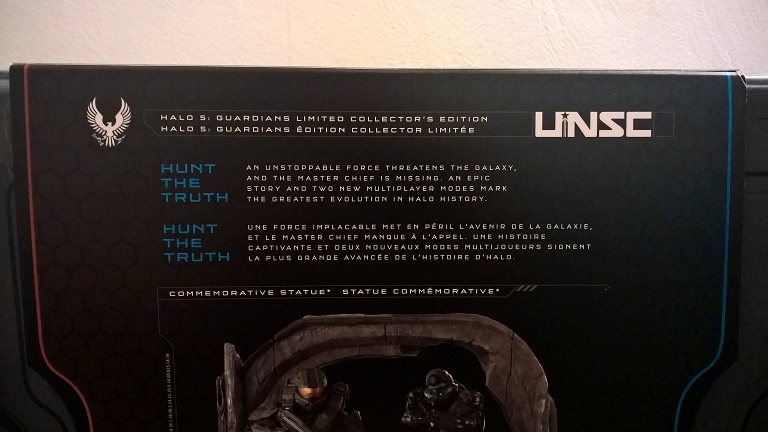 Overall, I am extremely pleased with the Halo 5: Guardians Collector's Edition. While there are complaints, they are either non-issues or were addressed through a quick online chat. If you manage to come by one for a reasonable price, I would pick it up.